Dubai can expect a spike in the delivery of units this year, particularly in secondary locations in Dubailand such as Dubai Sports City, Arjan and villas along the Al Qudra corridor, where the majority of deliveries over the next three years are located. This will result in deflationary trends, although certain segments will be affected more than others. “Certainly in 2017 we expect rental rates to decline further, more severely on the villa side over the coming months,” says Matthew Green, head of research and consultancy – UAE at CBRE Middle East. Around 31,500 apartments and 12,500 villas and townhouses are expected to be delivered this year, according to Asteco. Last year, some 8,750 apartments and 5,000 villas were completed. “The additional supply will continue to put downward pressure on market rates, which will place the negotiating power firmly in the hands of tenants, despite a forecasted increase in population,” said John Stevens, managing director of Asteco, in a statement. Meanwhile, Ozan Demir, research and data manager at Reidin, observes a disconnect between the sales and rental markets. Reidin placed the rental decline last year at 4.6 per cent for apartments and 5 per cent for villas. Reidin also reported a 1 per cent quarter-on-quarter drop in overall rents in the fourth quarter, while Cluttons reported a 2 per cent decline. “Some rental declines are expected, even if the sales side of the market is actually improving a bit,” he explains. 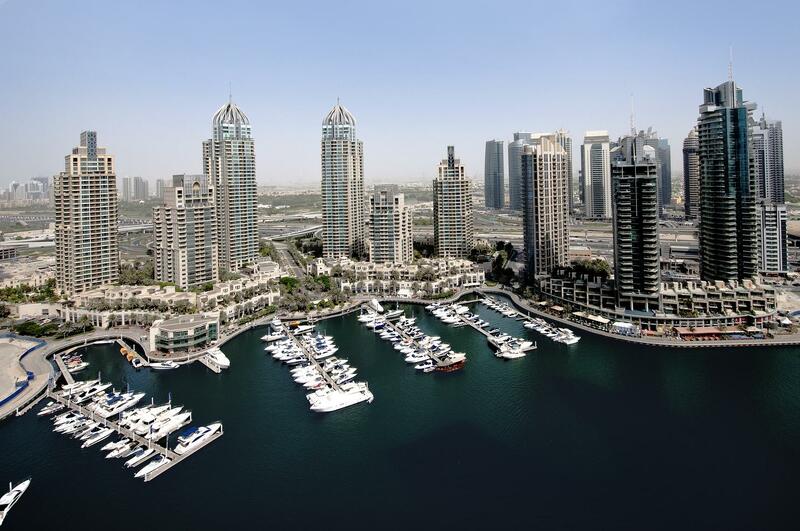 Chestertons said rents in Jumeirah Lakes Towers (JLT) and Business Bay were down 8 per cent in the fourth quarter compared with the same period in 2015, while it was 7 per cent in Dubai International Financial Centre (DIFC). Downtown Dubai held its rates. In the villa segment, Jumeirah Village Triangle (JVT), Al Furjan and Arabian Ranches suffered a 5 per cent drop in rents in the fourth quarter compared with the third quarter. JVT also saw the largest rental fall year-on-year of 10 per cent, followed by Jumeirah Golf Estates, where rents dropped 9 per cent. The winner last year was the Palm Jumeirah, where rents increased slightly by 1 per cent over the year, although rates declined by 1 per cent when comparing the last two quarters. Kareem Derbas, CEO of developer Palma Holding, says rents were still relatively high. However, should future supply bring down rents, he believes that would have a positive effect on Dubai. According to Asteco, the majority of areas have seen rental rates for one-bedroom apartments drop by anywhere from Dh5,000 to Dh15,000. The firm said one-bedroom units in Jumeirah Beach Residence, Business Bay, JLT and International City are now available for Dh105,000, Dh75,000, Dh75,000 and Dh45,000 per year on average, respectively. However, rents for similar units in Downtown Dubai (Dh115,000), The Greens (Dh95,000) and Al Barsha (Dh75,000) remained stable last year. “Single-unit owners, especially those with mortgages, were more inclined to reduce rental rates to increase take-up, rather than undergo prolonged periods without any rental income,” said Stevens. While villa rents were generally down, the decline in some areas were more pronounced, reaching double-digit figures in locations such as Al Barsha and The Meadows because of increased competition from newer and more affordable accommodation, according to Asteco. Three-bedroom villas in Jumeirah (Dh190,000), Jumeirah Village (Dh160,000) and The Springs (Dh180,000) maintained their rates last year. Rents for some three-bedroom villas in Al Barsha and Arabian Ranches crossed the Dh200,000 mark, according to Asteco. While there was a significant dip in transaction values last year, Chestertons noted a turnaround in the last quarter when it recorded a 30 per cent increase in total transaction volume and values from the third quarter. 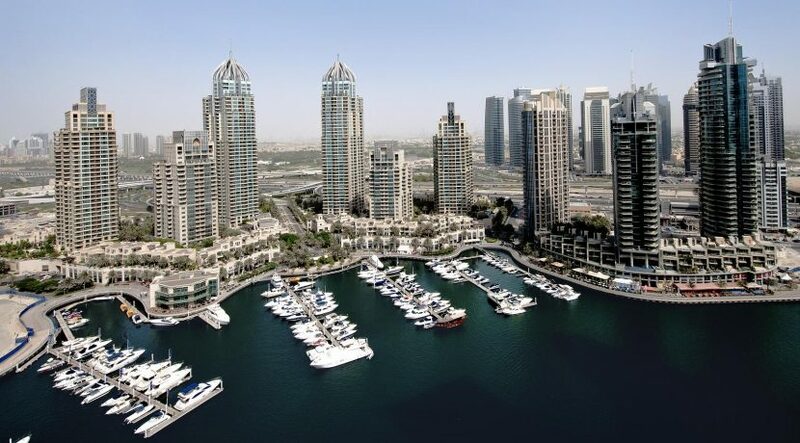 “This is a possible indication that the gap between what a seller expects to achieve and the amount that a buyer is actually willing to pay is closing still further,” says Teh, partly attributing the figures to the fact that cheaper prices in Dubai Marina, Emirates Living and JLT, as well as the affordability of Dubai Sports City, increased buyer appetite. Faisal Durrani, partner and head of research at Cluttons, points out that the average price of transacted villas fell by 28.1 per cent between January and September last year to stand at Dh3.9 million. “Despite some submarkets bottoming out, transaction volumes are still weak and reflect the general nervousness around commitments to purchase, while the wider issue of affordability remains a stubborn thorn in the market’s side,” he says. Cluttons expects values to stabilise towards the end of 2017, with key triggers slowing the decline to come from mega-developments and infrastructure projects linked to the World Expo. Chestertons believes the market will remain flat during the first half of the year, but Knight Frank believes rents might also pick up later this year. Standard and Poor’s, however, sees a tougher year ahead for the real estate market with residential prices and rents to fall by 5-10 per cent in Dubai. However, the rating agency believes “developers will be able to absorb the fall in house prices due to low debt burdens and strong balance sheets”. Knight Frank says there are more than 10,000 units under construction this year, while Cluttons says it’s closer to 12,200, with some 20,915 to be delivered next year. “As has been the case historically, while the number of project announcements is progressing at an uninterrupted pace, the delivery timelines of these new schemes remain unclear. Our experience has shown that larger developments are often phased, with handovers being stretched over a period of months, if not longer,” says Durrani. Durrani cautions that any sudden boost to supply in the next 12 to 18 months will likely cause the current stability in the market to unravel, with further price falls likely to follow suit. “Demand and supply are almost in-sync, but this delicate balance can quickly be upset by a supply surge,” he says. Green believes developers see the lead-up to 2020 as “the next golden opportunity to build and sell residential products since the start of the cycle in 2006-07”. He says the Expo’s impact will be felt even more this year. According to Chestertons, gross yields have remained at a steady level as rental rates have decreased, while sales prices marginally dropped last year. Reidin recorded rental yields of 7.6 per cent in December, up from 7.2 per cent in December 2015. So there seems to be little for investors to complain about. 6-8 per cent, which is high by global standards and is higher for homes in the affordable to mid-range price bracket, which continues to drive buy-to-let investment,” says Faisal Durrani, partner and head of research at Cluttons. Yields would come down slowly, but the low-point threshold depends on the investor’s mindset. “It’s something you just factor in,” says Kareem Derbas, CEO of developer Palma Holding. “In Dubai you make a higher yield of 7 per cent than, say, in London where it’s 3-4 per cent, because of geopolitical risk, etc, which to some degree is true. So unfortunately we still need to keep these yields up to attract foreign investment. Buyers today can expect to recover an initial property investment within 13.6 years for apartments and 18.6 years for villas in Dubai, according to Reidin’s price-to-rent-ratio. While demand for good-quality office space has seen rents hovering slightly below the peak in areas such as Tecom and Dubai International Financial Centre (DIFC), with close to 100 per cent occupation, strata buildings’ rents and occupancy continue to suffer, the latter at around 50 per cent, according to Matthew Green, Head of Research and Consultancy — UAE at CBRE Middle East. Workplace efficiency and wellness are the name of the game, with properties such as ICD’s Brookfield Place project, which will be completed in DIFC in 2019, says Green. Durrani echoes the sentiment, dubbing the technology, media and telecommunications sector the rising star that will drive demand for offices.